Meet a few of the plant breeders who are working to continue to bring seed innovations to your fields. Before we look at the future of seed innovation, let’s take a look back at how far the industry has come. Since 1960, yields of major field crops grown in Canada have increased by 60%. This achievement didn’t happen by accident – it’s the result of plant breeding, and its value can be seen in higher yielding varieties with better agronomic traits, pest resistance and more. Canola came to Canada in 1974 – it now adds $15.4 billion annually to Canada’s economy. Canada has become more globally competitive through increased access to better yielding, high quality varieties. 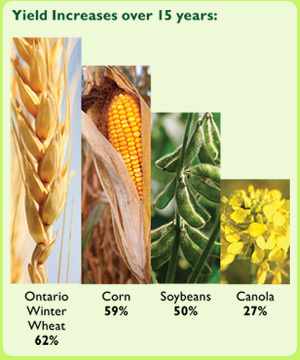 For example, Canada’s farmers have the choice of over 700 corn, 500 soybean and 200 canola varieties. One new wheat variety generated an increase of $562 million in farm gate receipts since its introduction. 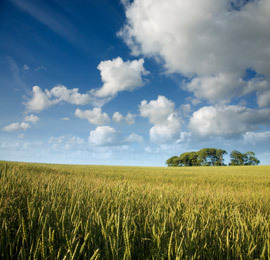 One new feed barley variety generated additional farm revenue of over $35 million in 2007 alone.